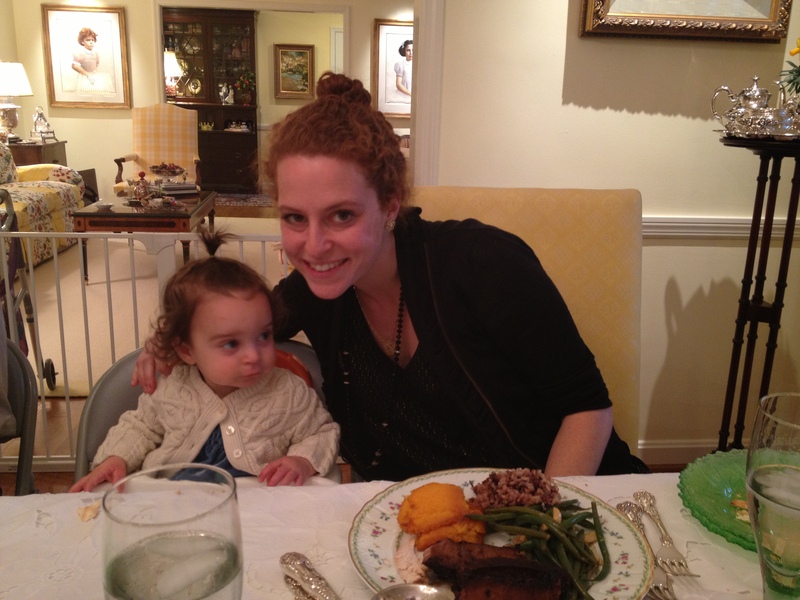 Passover is one of my most favorite holidays. It’s the celebration of the Jewish People leaving Egypt as slaves. We get together to sing songs and eat and celebrate our freedom. 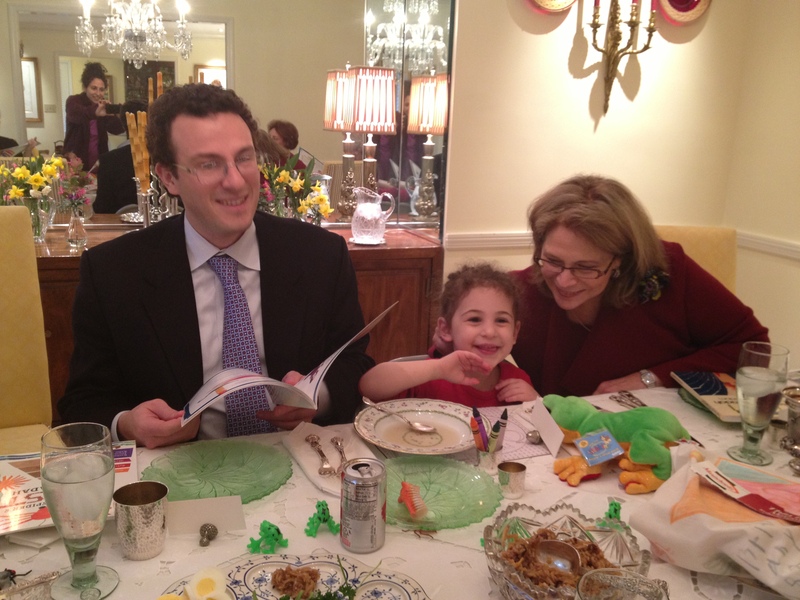 With several little people at the seder (the passover meal), we revised the way we did things. 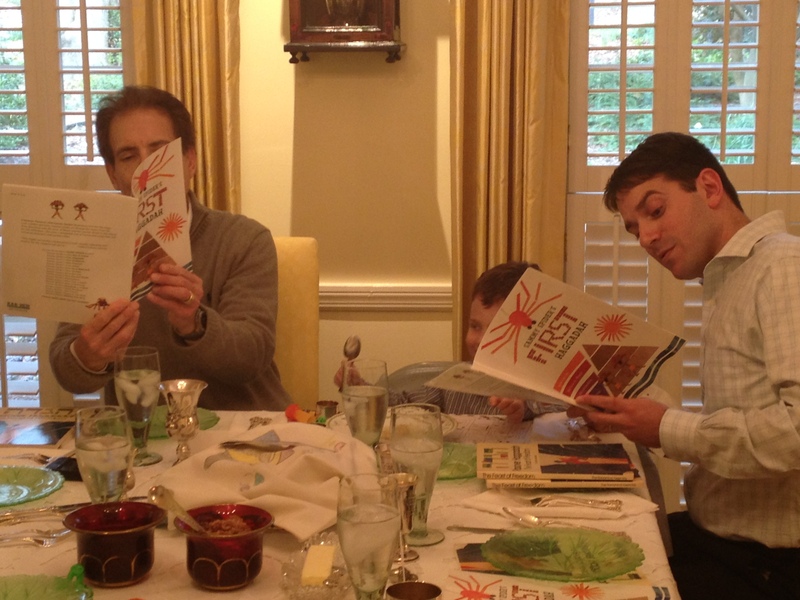 We brought in Sammy the Spider’s Passover Haggadah, (the book we use for the order of the seder and the songs). It was a big hit!! We will confess that though it was the perfect dinner, the haggadah was missing the 4 glasses of wine and the majority of the plagues, that we will add in next time. 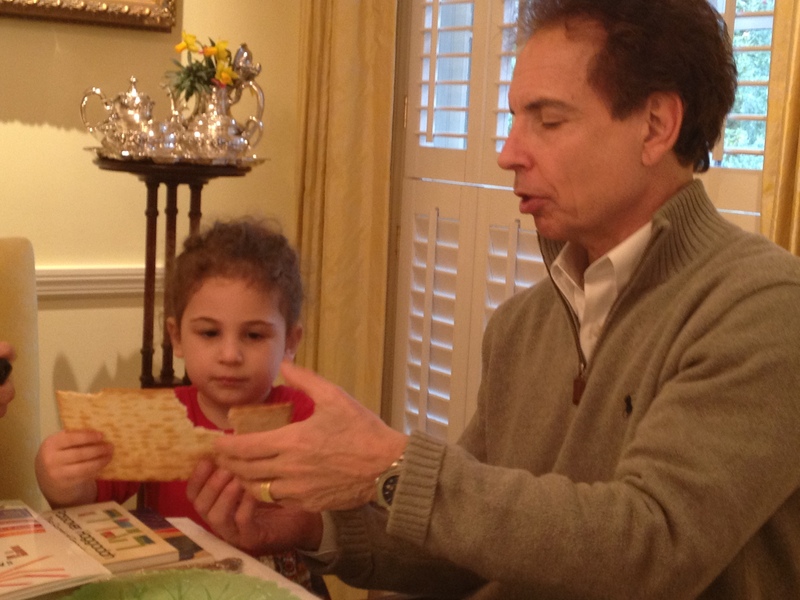 matzah – is the cracker like bread that the Jews made before leaving Egypt, but didn’t have time to let it rise. It baked on their backs. The best GF Matzah out there is Yehudah matzah. It was marked on our table, because it technically can’t be used for sacrimental purposes since it does not contain any wheat. However, it tastes far better than the gluten matzah (like potato chips) and doesn’t make you constipated!! It is customary to light the candles to welcome the holiday into the home. 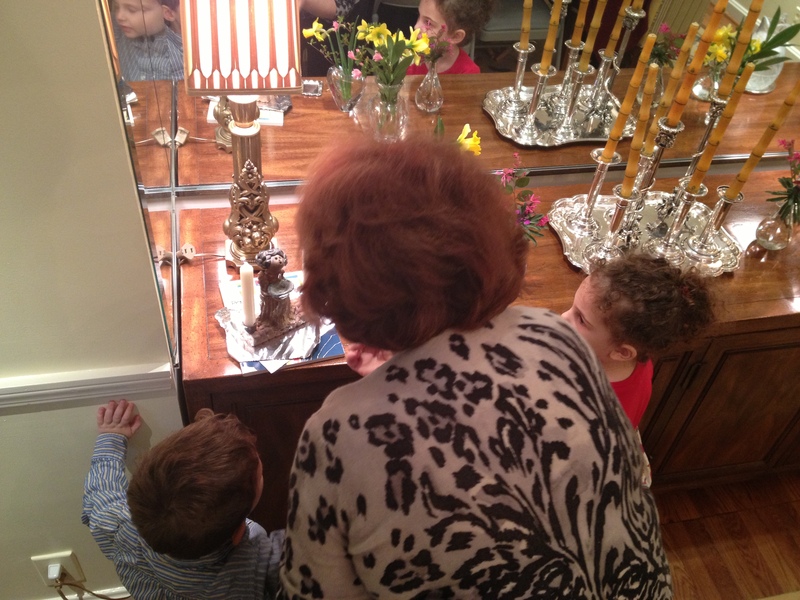 Here my daughter and nephew were helping my mom. Yum! The Delicious GF Matzah Ball Soup! 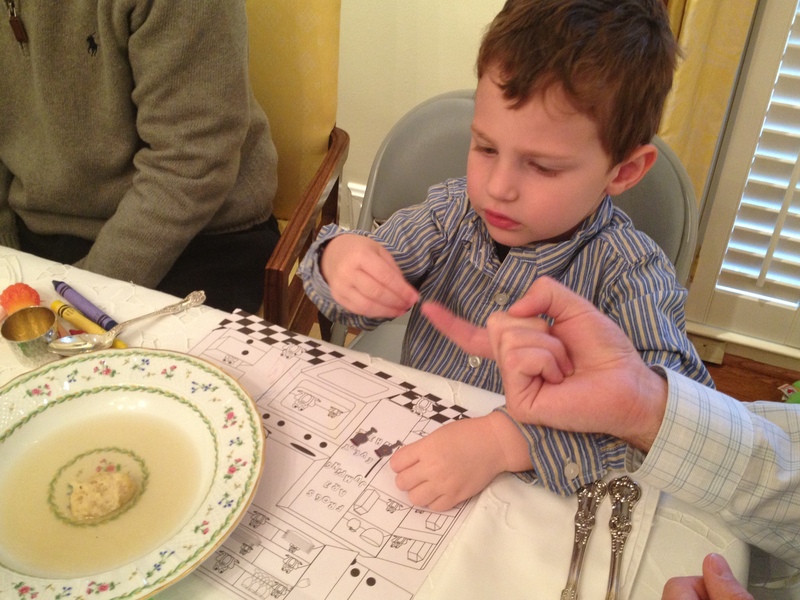 Matzah Ball Soup is on of the traditional foods served at Passover. 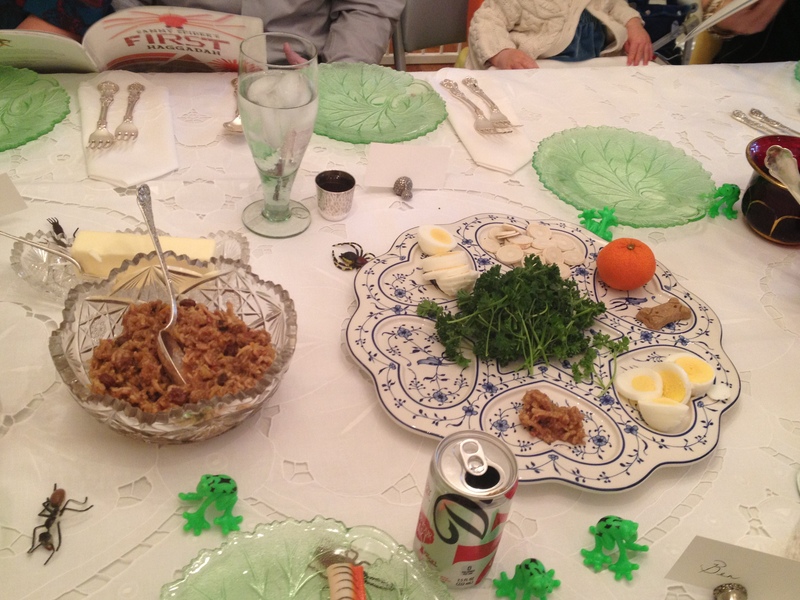 A thin chicken stock is used and the balls are made out of matzah meal (ground matzah). 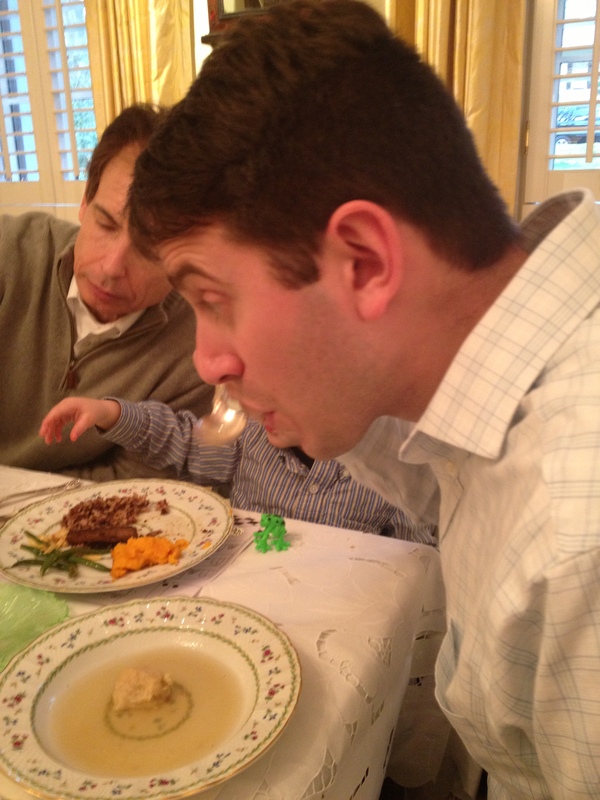 These GF matzah balls were served to all the guests and no one knew the difference. They were light and fluffy. They were the best GF matzah balls I’ve had yet. (See recipe for Gluten-Free Matzah Balls below). The whole meal was gluten-free (and dairy-free), and why not?!! 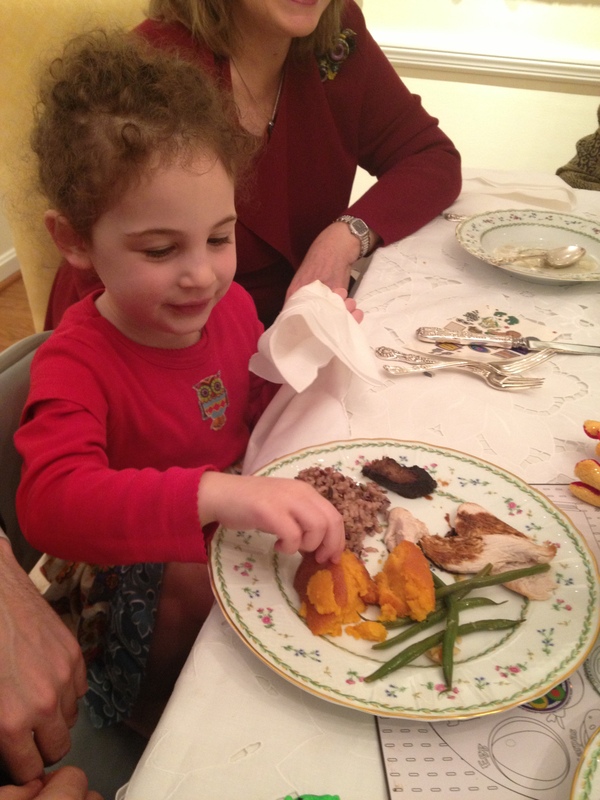 We had brisket, turkey, carrot souffle, green beans with almonds, and wild rice. 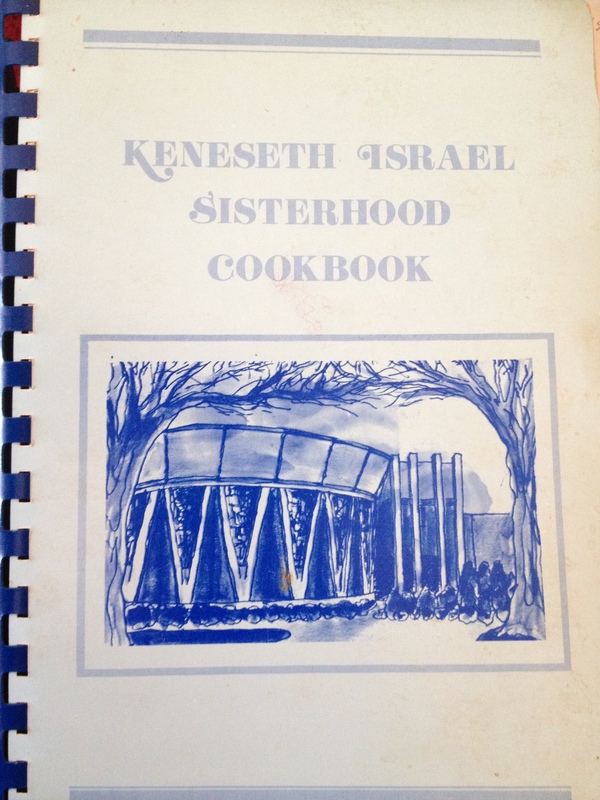 Feel free to ask for any of the recipes. 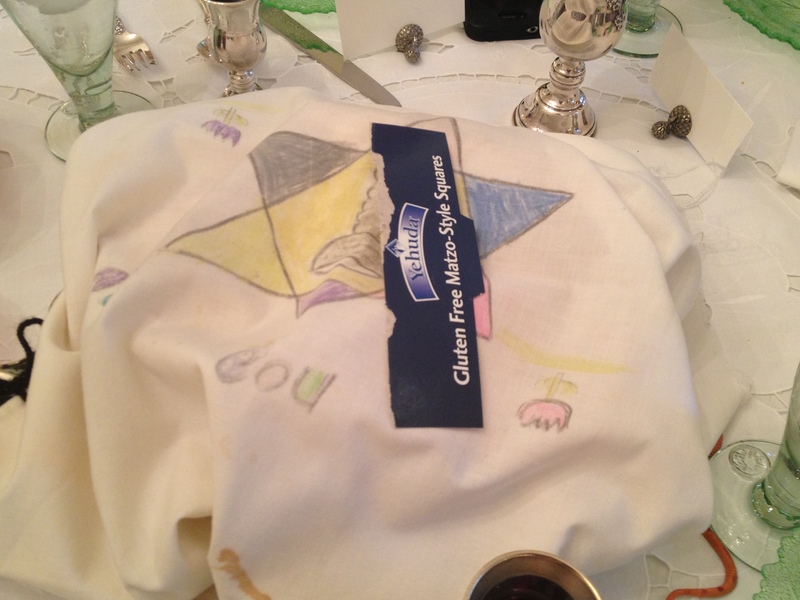 Write and tell me about your Seder traditions and experiences and ways of making it gluten-free and/or kid-friendly! Mix fat, eggs, seasoning and liquid. Add matzah meal and mix lightly until blended. Cover the mixing bowl and place in the refrigerator for at least 20 minutes. Bring stock to a brisk boil. Make matzah balls using about a tsp to scoop them out and drop them into briskly boiling stock. Cover pot and simmer for 40 minutes. This soup was inspired by my friend, Leah, and it all started like this . . .
My daughter and I were supposed to have a playdate with my friend, Leah, and her son. 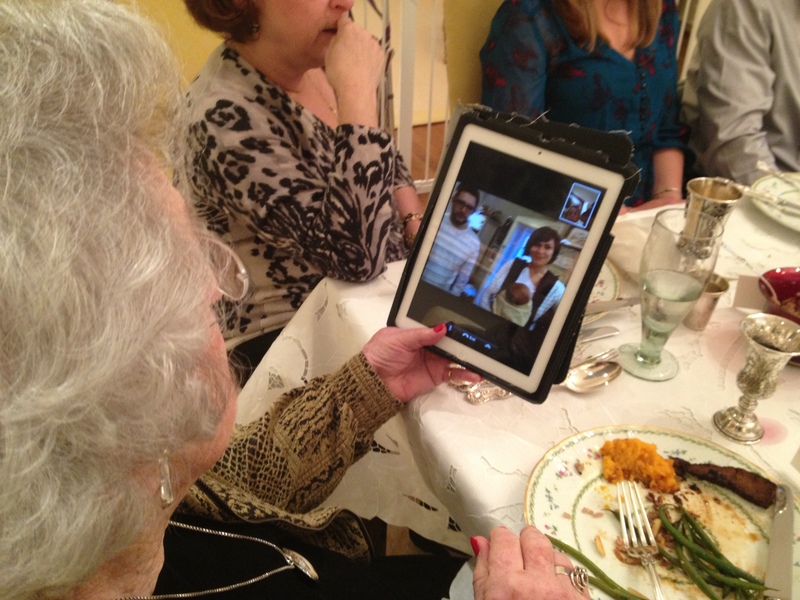 Leah calls to tell me that her son didn’t nap, her husband’s home early, and they’re going to go out for dinner. So, she was wondering if we could reschedule a playdate for the next day when her husband would be away for the next couple of days. That sounded fine with me. I asked her if she wanted to have dinner with us, too. We made a date for the next day. The following morning I get a call from Leah saying that her aunt is still in-town, and her aunt and mom have no plans for the afternoon, so they might come hang out, too. Well, then I start wondering if they were around for dinner, and it turned out that they were. The next thing I know, I was going to have a whole, wonderful table full of guests, BUT what in the world was I going to feed them? It was now 11 am, and I had to figure it all out fast, get to the grocery store, and start prepping before I picked my daughter up from school by 12:30 pm. Soup, salad, meat, and dessert seemed doable. I ran out to our neighborhood co-op to pick up some chicken and butternut squash, and what did I learn? They were out of butternut squash!!! Whatever was I going to do now? I politely asked one of the staff members, who directed me to a hubbard squash and some other kinds. He told me that he thought they were waaay better and sweeter than butternut. SOLD! I ran home to begin roasting the squash to get it ready for the soup. And I was not disappointed. This soup was creamy, smooth, and sweet. It was so good in fact that I ate it every morning for breakfast for the next week! Cut Squash in half and rub with 1 tablespoon of EVOL (or butter) and sprinkle with salt. You can also dice squash and toss with 1 tablespoon of olive oil (butter) and some salt. Roast squash in oven for about an hour. Remove squash from oven and allow to cool enough for you to handle. While cooling, heat a pot over medium heat. Add 1-2 tablespoons of EVOL (or butter) and allow to warm. 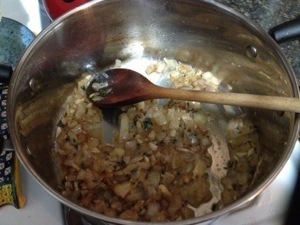 Add onion, garlic, cinnamon, thyme, salt, & pepper. Saute until onion is soft and translucent. Add wine to de-glaze the pot, and cook until all of the liquid is absorbed. Scoop out the flesh of the squash and add to pot along with the coconut milk, honey, and broth. Puree soup with a hand immersion blender or transfer to a food processor/blender and blend until smooth.